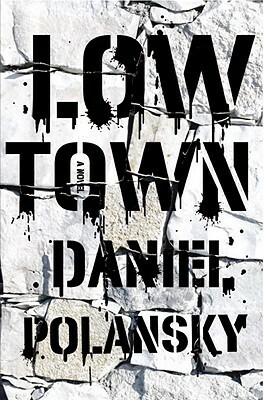 Low Town is part of a new breed of fantasy: small-scale and urban in focus, and taking cues as much from crime fiction (and films) as in-genre classics. Some have used the term "fantasy noir," but I don't really see much connection to Thompson, Cain or Chandler. Rather, Low Town feels rooted in gangland fiction (and film), while also evoking science fictional takes on the grime and crime aesthetic. Scratch that--not gangland, per se, but the "street novel" (or film). And the British kind at that--think Irvine Welsh only not as funny, but with magic. Low Town is named after the rough and tumble quarter of Rigus, which is the capital of a very powerful state. It's a place where most are poor or struggling, the state is mostly absent, and criminals abound. It's the place where, when the plague hit, it hit hardest. It tells the story of a man known only as the Warden. As a child he was orphaned by the plague, but was then taken in by a mercurial and benevolent sorcerer. He is a veteran of a nasty war against a rival state, and a disgraced former member of Rigus' feared secret police. Now he peddles drugs on the streets, and is a fearsome enough figure that he doesn't need or want an organization. Though the Warden is a hard man to the core, he is neither sadistic nor nihilistic. He lives by a code, and tries to use violence only when it is the most efficient means to an end, or when the person really had it coming. And when children begin showing up dead on Low Town streets, you just know someone's going to pay. The Warden is the primary reason why Low Town works so well. He's world-weary and jaded, but his reactions to things that happen around him are extremely relatable. That is to say, despite the exterior, this is, fundamentally, a person who cares about right and wrong--in the way most people care about right and wrong. It's flexible, when necessary, but there are lines you just don't cross. As a reader, you come to really care about what happens to him and the people he depends on. The Warden's (and by extension the book's) moral compass makes me hesitant to lump Low Town in with the style of fantasy frequently referred to as "grimdark." Yes, it's gritty as hell, and pretty gory in spots. This is not a book for the feint of heart, and those who have tired of contemporary fantasy's fixation with ultraviolence should probably look elsewhere. At the same time, it isn't nihilistic, and it isn't terribly relativistic either. The Warden is a troubled, flawed man, but he actually has a pretty clear sense of right and wrong and does what he can, in his way, to make Low Town a better place to live. He doesn't always get it right--and makes some major errors, in fact. But he tries. The other thing I loved about the book was its mood--dark, cold and foreboding. And the action scenes are just fantastic. My one quip is that the plot, while serviceable, isn't all that well constructed. There's a mystery, but it's never quite clear why things happen the way they do, or why the Warden draws the conclusions he draws. This makes the big twist at the end kind of superfluous. Twists, after all, depend on the reader having certain assumptions; yet if the reader never quite develops them, what exactly is the twist doing? Still, it hardly matters--this book is propelled by character and setting, and those are fantastically well rendered. I can't wait to read book #2. Bonuses: +1 for the Warden, who is all kinds of awesome. Penalties: -1 for a plot that doesn't quite work.